You can claim 10 no deposit spins on Starburst as soon as you register and validate your account. Sign up is really quick and account validation is done through text message. There is no promo code required. For new players wanting to make a deposit, the full welcome package is great value. 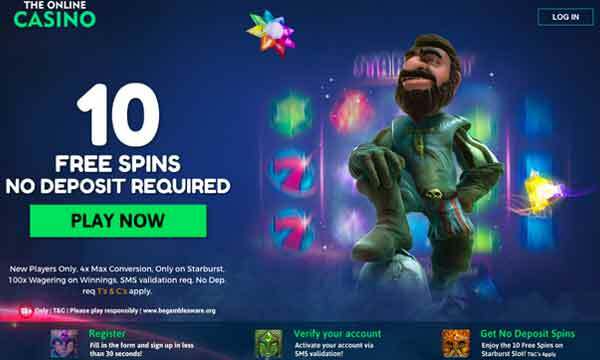 First Deposit – 200% match bonus up to £50 in bonus + 50 spins on Starburst. 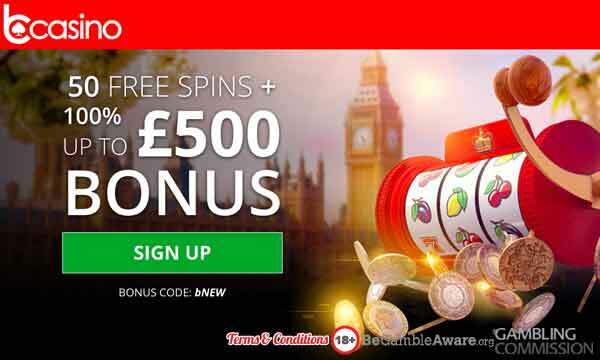 In total you can claim £500 in Bonus cash and 50 Bonus Spins on Starburst. No promo code required, just select the bonus when making a deposit. The sign up bonus has no deposit required to activate it, just validate your account by sms. Minimum deposit to activate each if the 3 match bonuses in the full welcome package is £10. Wagering on the no deposit spins winnings is 100x. Wagering on the match bonus (deposit + bonus) and the bonus spins winnings is 40x. 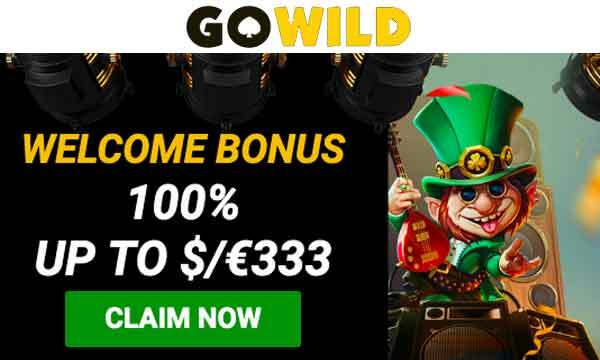 There are also regular promotions and special offers for existing players at The Online Casino. They change quite frequently depending on what time of the year it is. 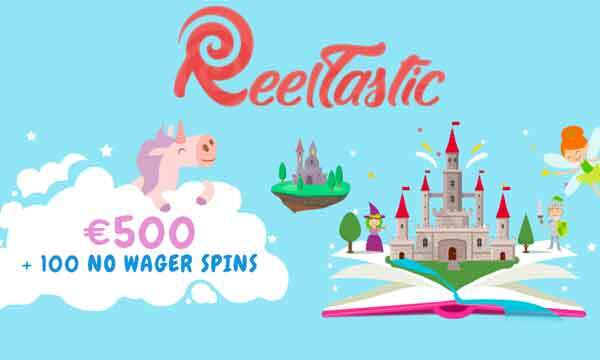 There are a good variation of bonuses available like free spins, deposit bonuses, cash back bonuses, prize draws and tournaments. The Online Casino is exactly what it says it is. There’s pretty much everything here that you could want from a virtual casino. You can play a huge number of slots, table games, jackpot slots and live casino games. The number of games providers is pretty staggering also. There’s just about every recognised games provider on board, all with their best and most played titles available. The games load quickly, without fuss on all devices so there’s no stress. Just great gameplay wherever you are. The gaming platform has been well designed. The navigation and categorisation is good and easy to understand. One of the nice features is being able to sort the games no only by game type, but also by the providers and by volatility. So finding a new game of your preferred style is easy. The Online Casino Bonus welcomes all new registered players with 10 no deposit free spins to play on Starburst. Then, when you decide to deposit, you can pick up a 200% casino bonus on your first deposit as well as 50 more bonus spins. They are also committed to excellence and so have gained a license with the UKGC and offer great customer support. There are also plenty of secure payment methods, including PayPal, BOKU and Credit/Debit Card, plus many more. The Online Casino has 10 no deposit free spins waiting for you today.